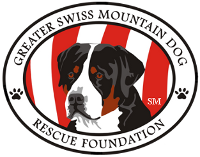 So, you want to foster a Greater Swiss Mountain Dog? Or, if you'd rather, fill out this electronic form and it will be sent immediately to GSMDRF! If so, what is it made of and how tall is it? Fostering requires that you pay for veterinary expenses and then submit the receipts to GSMDRF for reimbursement (within 2-4 weeks). Are you willing/able to afford this finanically? All dogs are spayed/neutered, brought up to date on shots, and microchipped prior to placement. A foster home is also required to help screen potential homes. Are these things you are willing/able to do? Where will the dog be during the day? Where will it sleep at night? Have you ever owned a Swissy before? If yes, please explain. Do have experience with any of the following? Select all that apply, please. By submitting this survey, you are stating that these questions are true and correct.